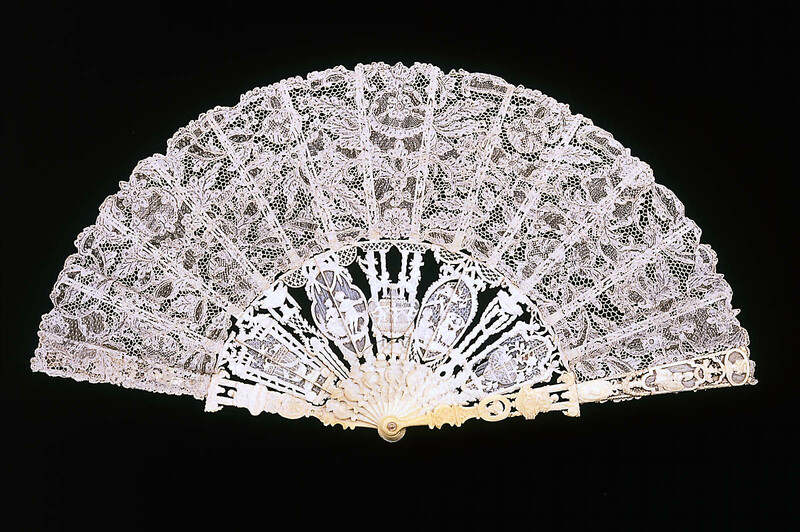 Leaf of point d’Argentan lace. 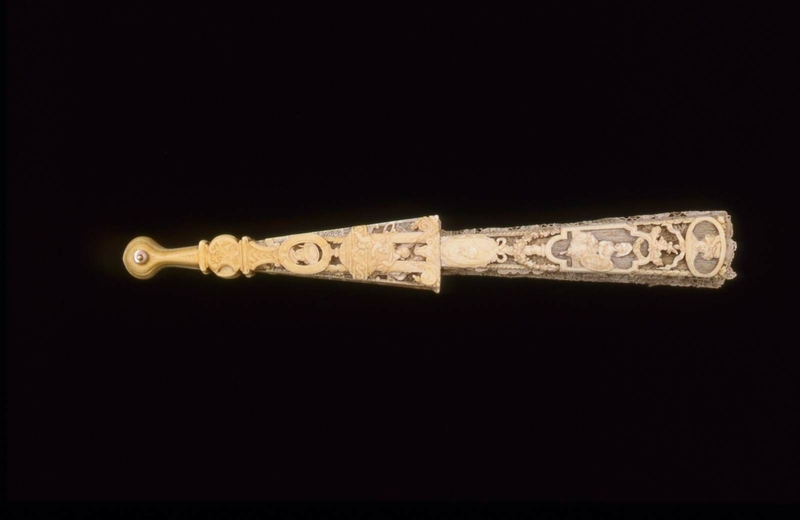 Twelve heavily carved and pierced ivory sticks in design of marriage emblems. Mother-of-pearl buttons on brass rivet. 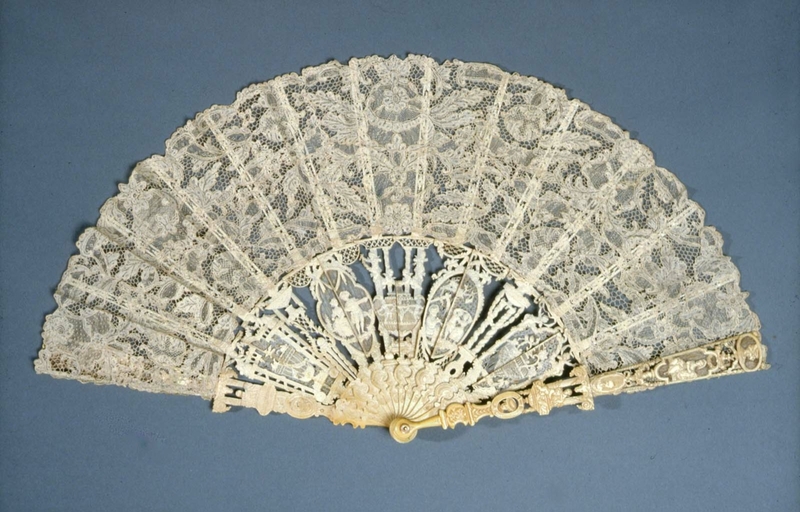 Before 1976: collection DeWitt Clinton Cohen; by 1976: collection Esther Oldham; gift of Esther Oldham to the MFA, June 9, 1976.